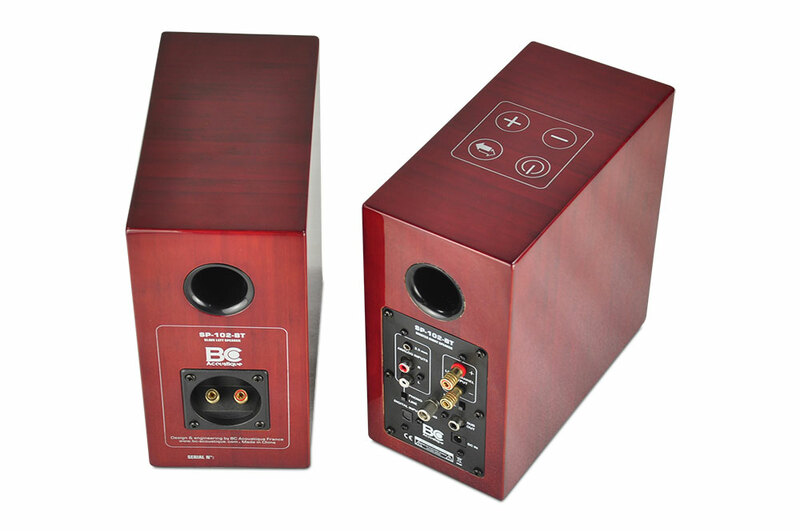 The SP-102-BT system is made of one active master speaker equipped with a class D amplifier 2x25WRMS and one passive slave speaker. 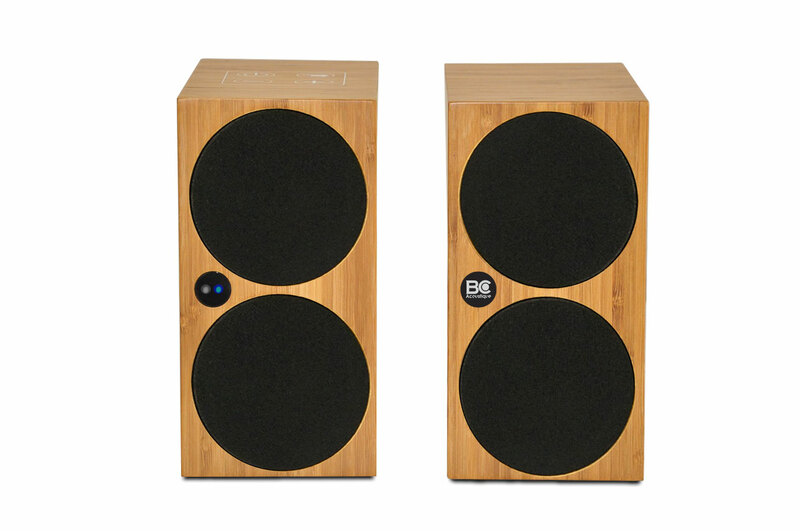 The active loudspeakers SP-102-BT was designed in an audiophile approach to ensure the high-fidelity amateur a faithful reproduction of his favorite music. 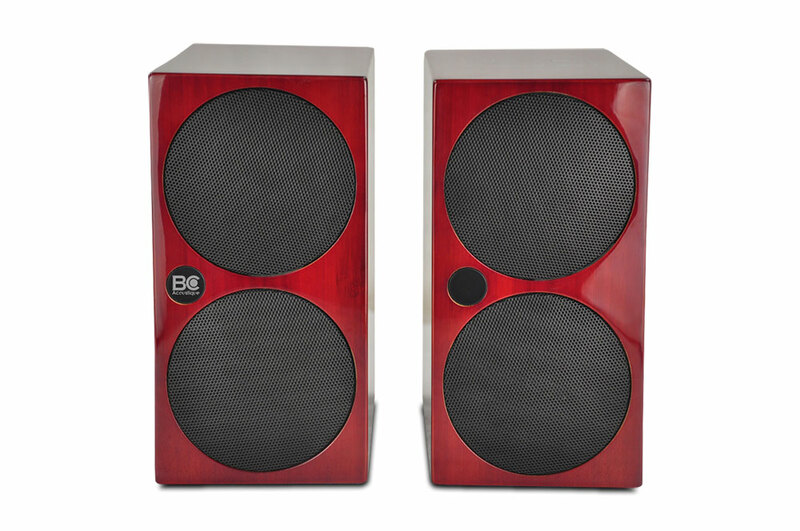 The system is made of one active master speaker equipped with a class D amplifier 2x25WRMS and one passive slave speaker. It includes a Bluetooth© receiver, allowing you to play music from your Smartphones, tablets or computer. 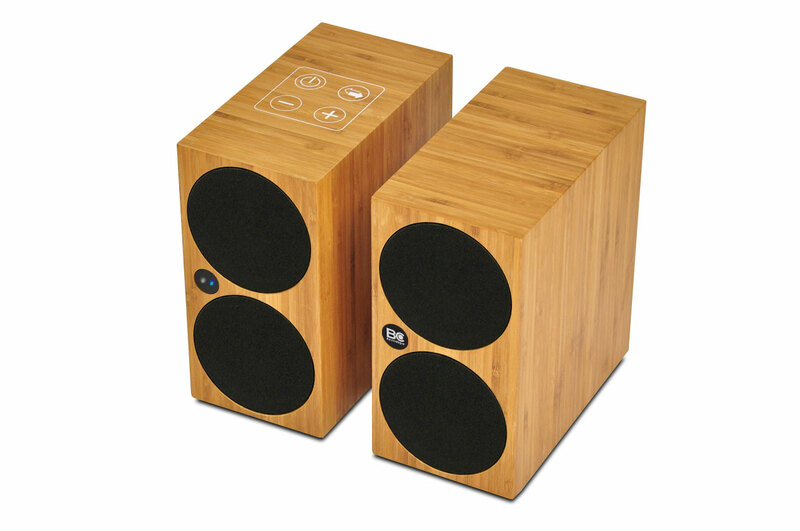 The SP-102-BT includes 2x3’’ full range drivers, studied specifically to deliver an excellent musicality. Finally, the loudspeaker is equipped a bass-reflex load to produce a serious level. 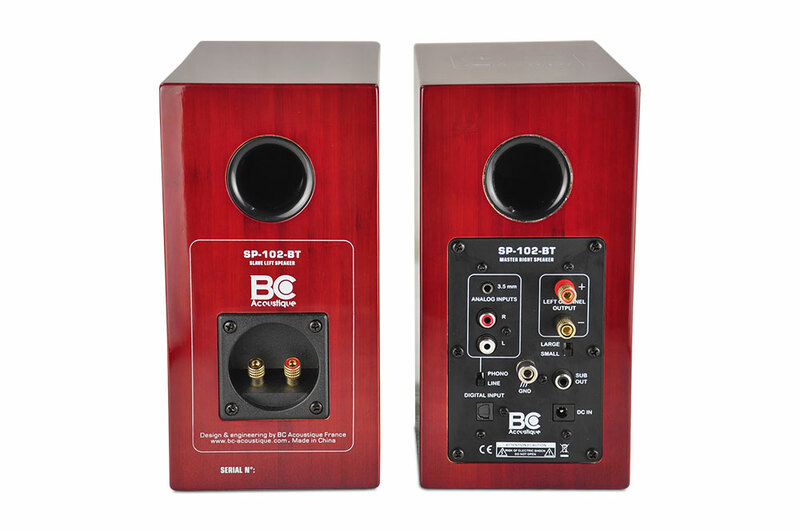 They have a stereo line input (with optional phono preamplifier), digital optical input, and a subwoofer output. 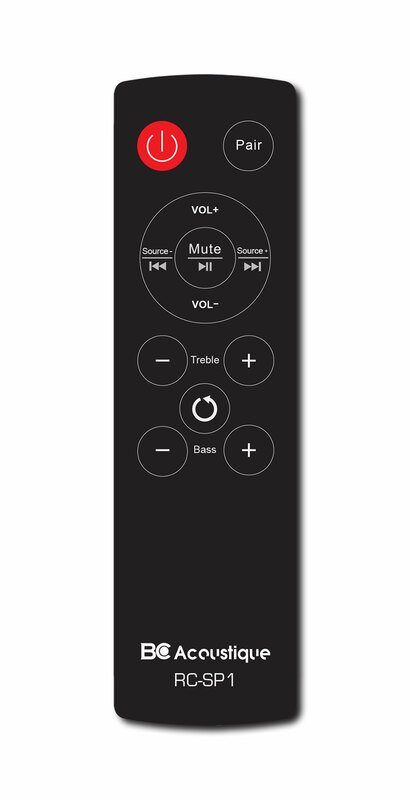 To control the speakers, the user can use a remote control or a sensitive touch panel on the top of the master speaker.